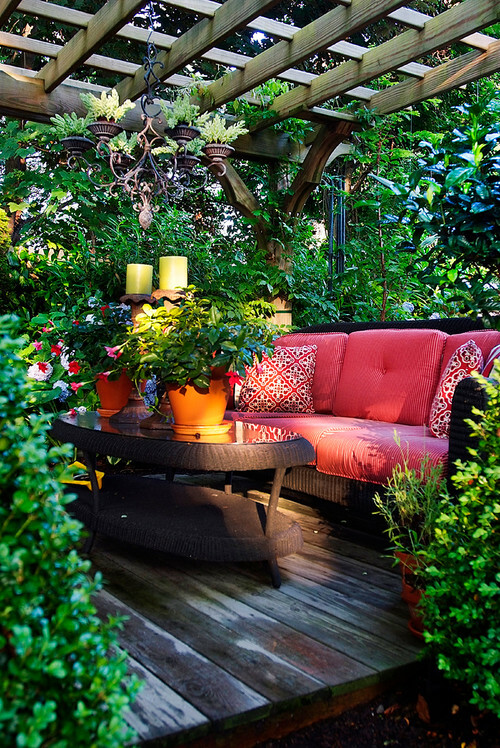 Many people who live in small spaces also have small outdoor spaces. It may be a patio, porch, or if they are lucky a small yard. Even though these spaces are small, there is no reason for them to not be beautiful. One person who does an excellent job with this is Brenda at Cozy Little House. She definitely doesn't let her small patio space stop her from enjoying her passion for gardening. It is filled with flowers, herbs, and critters. This wonderful space is a narrow city townhouse garden. 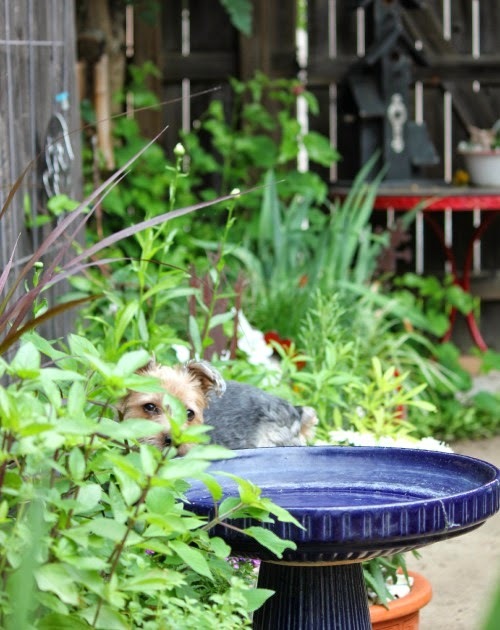 The owners have imbued it with a variety of potted and in ground plantings, along with pea gravel and pavers. 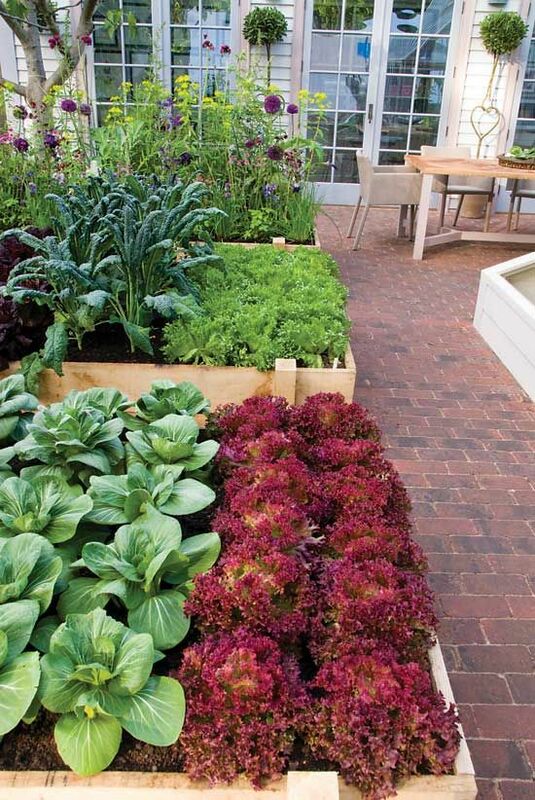 If there is enough light on your patio, it can also be a great place to grow vegetables. When you have a small indoor space extending that space to the outdoors can make it seem much larger. I would be happy with any of these spaces. Love this time of year. P.S. You can find more of my small space living series here. Thanks, Laura! I do love my patio. It's why I took this place. So I could have my garden and the pupsters could run around. I had forgotten all about that photo of Abi. 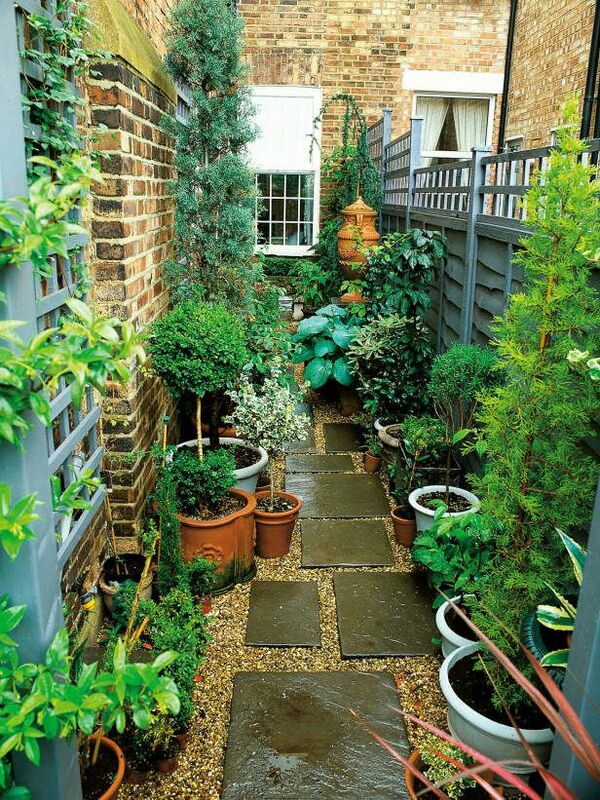 I would much rather have small spaces in homes and in gardens. They are so cozy! I can't wait till you get yours. I can only hope that I can do a patio space like Brenda's. I have about this room!! Her space looks wonderful, Jane. I wish my patio space was fenced like Brenda's! Still I am going to do some container plants on my back porch this year. Brenda's is gorgeous and inspires me!! I think she is an inspiration to all of us, Linda. a small space garden filled with love, is so much more that a large one maintained by a landscaping crew to garden, tick. Small spaces can be so beautiful - and easier to design and handle. Our large yard can be a lot of work. But it's lovely to be outside. Very pretty spaces. 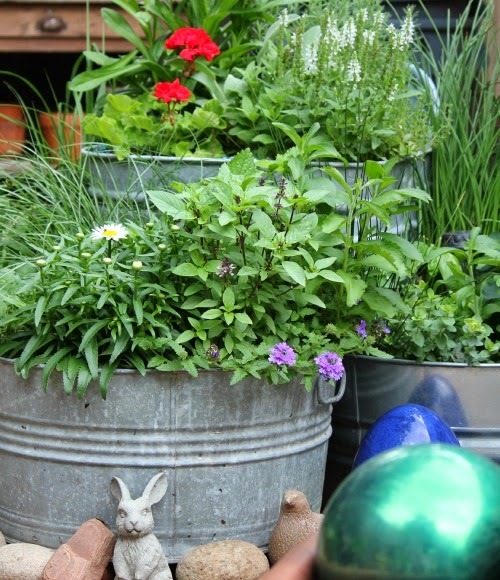 I've done a lot of container gardening through the years, and found it very easy to maintain.